GEORGETOWN, TX -- People wanting to get married in one Central Texas county might have to delay their plans just a bit. The Austin American-Statesman reports the Williamson County clerk's office ran out of marriage licenses Aug. 26 and won't get more until Sept. 22. Connie Watson, a county spokeswoman, says the problem happened after the clerk's office thought it had ordered the special forms from its vendor, but the vendor said it never received the order. 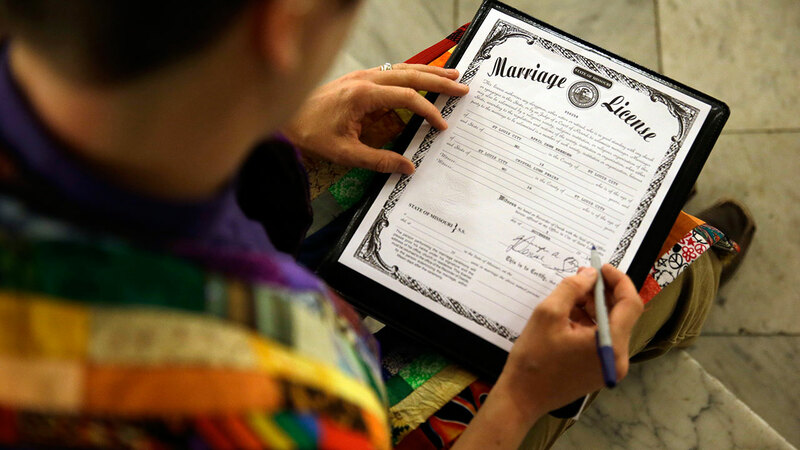 Watson says couples can still get a marriage license from any other Texas county. The county on Thursday didn't immediately know how many people have been turned away since the clerk's office ran out of the licenses. Watson said the clerk's office has issued 1,909 licenses since the beginning of the year through Aug. 26.